In 2002 Adobe launches its Creative Suite software suite which includes InDesign, Illustrator and Photoshop. Aggressive pricing as well as the quality of the software quickly make the new InDesign a popular choice for designers. Quark starts losing market share in the publishing market. That same year Adobe finishes converting their entire font library to OpenType, which by now has become the dominant font format on the market. The PlateRite Micra is the first 2-up CtP device from Screen, which in the past years became the largest manufacturer of computer-to-plate equipment. Their machines are also sold by Agfa, Fuji and Heidelberg. For larger C-t-P machines, the 4 or 8 page markets are already replacement markets. Below you see the automatic plateloader of the Micra to the right. The engine itself has the colored front while the processor to develop the plates is to its left. Finished plates are stored vertically in the stacker. Creo enters the plate manufacturing business. 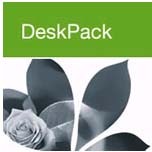 Updated versions of the PDF/X-1a and PDF/X-3 standards for exchanging PDF files in the graphic arts market emerge. They’ll remain the basis for several industry standards, such as those from the Ghent PDF Workgroup, for many years to come. Screening algorithms continue to improve. Agfa Sublima is an example of hybrid screening technology. Other vendors such as Creo and Heidelberg offer reworked ‘second order’ versions of their stochastic screening algorithms. These implementations use ‘worm-like’ structures to reduce clumping in mid-tones. Aqua Sky (Pantone 14-4811) is the color of the year. Xaar, founded in Cambridge (UK) in 1990, launches its first full production inkjet printhead. The Xaar 318 is manufactured in Japan by Toshiba TEC. Its 318 nozzles can jet 6 to 90 picolitre droplets to deliver up to 16 color levels. 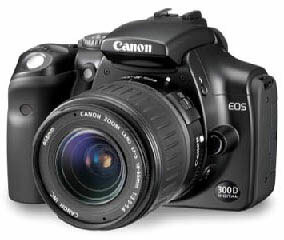 The Canon 300D or Digital Rebel as it is called in the US, is the first affordable digital single-lens reflex camera. Even small studios can now deliver excellent digital images thanks to the 300D’s resolution of 6 megapixels. The fast adoption of digital cameras kills the scanner market. Scribus 1.0 is the first open source cross-platform desktop publishing application. Like GIMP, its image editing counterpart, it has no major impact on the industry (yet?). EFI sells its millionth Fiery RIP. This site, originally called The PostScript Panic Page, becomes prepressure.com and moves to a shared web server somewhere in Hong-Kong. The quirkiest typeface of the year must be Screenstar, created by Kai Vermehr, Steffen Sauerteig and Svend Smital. The US and Britain launch a war against Iraq. In December Saddam Hussein is captured by American troops. Arnold Schwarzenegger is elected governor of California. Seven astronauts die when the space shuttle Columbia explodes. The RIAA sues a 12-year old girl over illegal song swapping.